Laurie King's New York Times bestselling novels of suspense featuring Mary Russell and her husband, Sherlock Holmes, are critically acclaimed and beloved by readers for the author's adept interplay of history and adventure. Now the intrepid duo is finally trying to take a little time for themselves - only to be swept up in a baffling case that will lead them from the idyllic panoramas of Japan to the depths of Oxford's most revered institution. Luncheon. Laurie R. King is a LibraryThing Author, an author who lists their personal library on LibraryThing. Laurie R. King's book Lockdown is currently available from LibraryThing Early Reviewers. Laurie R. King's book Island of the Mad is currently available from LibraryThing Early Reviewers. Laurie R. King's book Lockdown was available from LibraryThing Early Reviewers. Laurie R. King's book The Murder of Mary Russell was available from LibraryThing Early Reviewers. Laurie R. King's book Dreaming Spies was available from LibraryThing Early Reviewers. Laurie R. King's book Bones of Paris was available from LibraryThing Early Reviewers. Laurie R. King's book Pirate King was available from LibraryThing Early Reviewers. Laurie R. King's book God of the Hive was available from LibraryThing Early Reviewers. 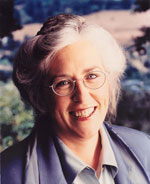 Laurie R. King is currently considered a "single author." If one or more works are by a distinct, homonymous authors, go ahead and split the author. Laurie R. King is composed of 12 names. You can examine and separate out names.